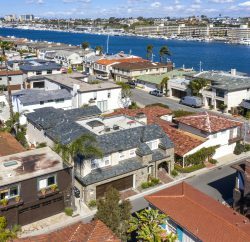 Real estate in Laguna Beach and Newport Beach consists of homes that were built over decades, even a century in some cases. Obviously homes from a different era were built with features that may not be necessary or appealing today. In some cases, the charm can be a fun touch, but in other cases you may find design elements to be a waste of space. Remember the big screen TV niches of the ‘90s? Case in point. But what if you changed the meaning of the space to work for today and for your lifestyle? Here are some suggestions, some from Forbes.com, on how to repurpose the space. The formal living room and dining room have become less sought after in homes as people are gravitating toward open living spaces and great room setups. However these proper, separate spaces can make excellent offices, game rooms, hobby rooms or playrooms. As a bonus, these rooms are often located near the front of the home so they are away from distractions, which is especially ideal in the case of an office. Breakfast nooks are also a space that has lost popularity. People like to spend their time at the main dining table, the breakfast bar or island. A more modern spin on the nook is to transform into a bill paying area or organization station. Make this the central control station for the home where you can keep track of school notices, permission slips, lessons, practice, etc. Tiny bedrooms used to be the norm because houses were smaller. However newer homes are being built with large secondary bedrooms. So if you have a small bedroom to spare, you might consider converting it into the ultimate walk-in closet. Alternatively if you need another bathroom, you may be able to create one in the space for a reasonable price if the plumbing is accessible. There are many homes that were built with awkward nooks and niches, for example the area underneath the stairs or spaces meant for big screen TVs. If you have one of these staircase nooks, why not enclose it? Create a coat closet, linen closet or even a pantry. You can even turn it into a pet sanctuary. As for a TV niche, turn it into a built-in for photos, books, or storage. Go ahead, make your space usable again! As the times change, so does the use of our homes. Modifying spaces to make them more relevant can certainly improve the functionality of your home. If you have any other ideas for how to bring outdated features of your home into the 21st century, I’d love to hear them and share them. 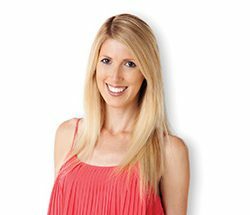 Holly Schwartz McDonald is a realtor with Villa Real Estate who lives in Newport Beach and has been featured on HGTV’s hit show “House Hunters.” She can be reached at HSchwartz@VillaRealEstate.com.